Court convicts terrorist who murdered three members of the Salomon family, prosecution demands four life sentences. The terrorist who slayed three Israeli Jews in the western Samaria town of Neve Tzuf (Halamish) in July was convicted on Wednesday of three counts of murder, two counts of attempted murder, and incitement. On Wednesday, the IDF’s Ofer court found Omar al-Abed, the 19-year-old terrorist responsible for the July terror attack in Neve Tzuf (Halamish), guilty of murdering three members of the Salomon family in their home as they sat down to a Shabbat meal. On Friday, July 21st, while the the Salomons were celebrating the birth of their grandson at their home in Neve Tzuf, al-Abed broke into the house, drew a knife, and stabbed the family members who had been seated at the dinner table. Four members of the Salomon family were wounded in the massacre, three of them fatally, including Yosef Salomon, 70, his daughter Haya, 46, and his son Elad, 36. The Prosecutor's office has demanded the terrorist be given four life sentences. 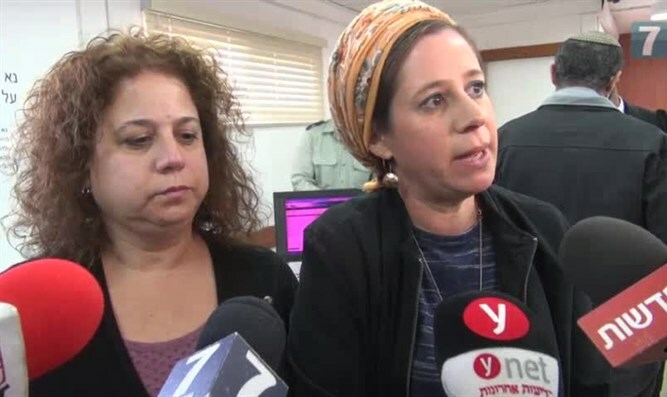 Responding to the decision, Deputy Defense Minister Eli Ben Dahan (Jewish Home) said, "I am glad that this lowly terrorist, who killed the Salomon family from Halamish, was convicted. The way to make this punishment complete is by removing his family from Israel." "If we cannot do that, then we must at least move them to a different area of Judea and Samaria. A step such as this will deter all kinds of other potential terrorists." Meanwhile, families of murdered terror victims are demanding Israel implement the death penalty for terrorists. While Israel has a death penalty, it has only been used once, for Adolf Eichmann. Defense Minister Avigdor Liberman (Yisrael Beytenu), is working to advance the death penalty for terrorists, and called on the judges to hand al-Abed a death penalty.